Being a prominent firm, we are engaged in manufacturing a distinguished assortment of Adhesive Fabric Glue. 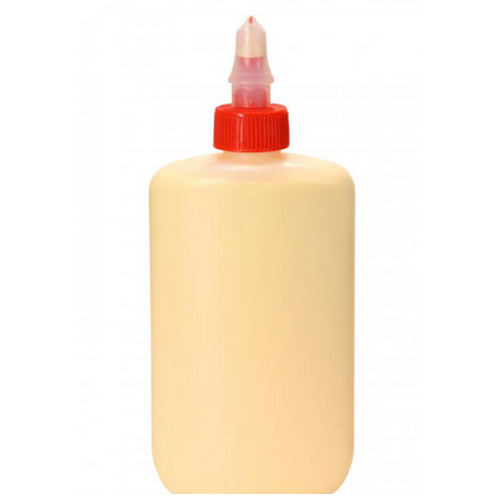 This fabric glue is processed using genuine quality basic ingredients, which is procured from some of the most renowned vendors of the industry. This range is developed for pasting beads, sequence, and crystal on fashion garment and fashion accessories. It provides water proof bonding so that pasted component remains bonded for longer duration. In addition, we ensure that the ordered products are timely delivered at the clients' end, We provide strong Technical support to our clients. Incepted in the year 2001 at Surat (Gujarat, India), we “Bhavika Enterprise” are a Sole Proprietorship firm engaged in Manufacturing and Trading high quality range of Fabric Glue, Solvent Ink, Textile Binder, Wood Adhesive, Membrane Glue, Lamination Gum, Membrane Adhesive, Labeling Adhesives, etc. We offer these products in high grade packaging options and at reasonable prices to our esteemed clients. We are working under the guidance of “Mr. Sohil Kapadia” (Director), who holds profound knowledge and experience in this domain.